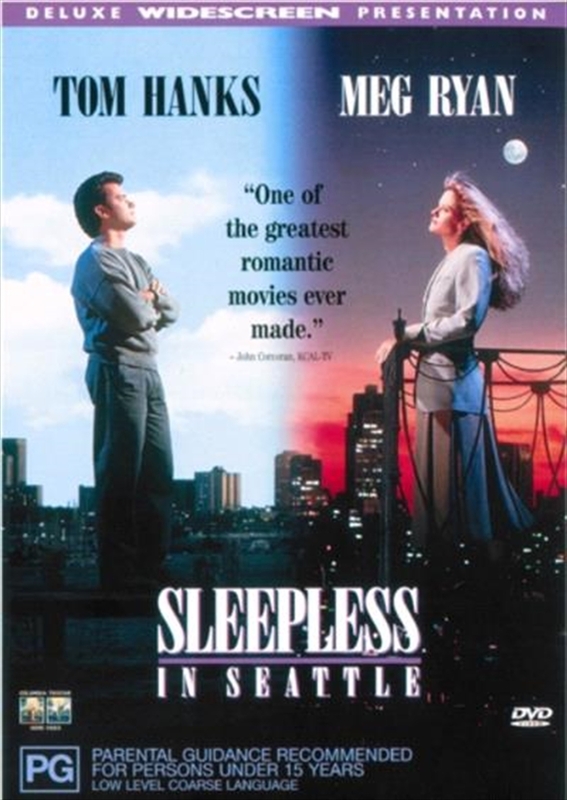 Tom Hanks and Meg Ryan star in Nora Ephron's wonderfully romantic comedy about two people drawn together by destiny. Hanks stars as Sam Baldwin, a widowed father who, thanks to the wiles of his worried son, becomes a reluctant guest on a radio call-in show. He's an instant hit with thousands of female listeners who deluge his Seattle home with letters of comfort. Meanwhile, inspired in equal parts by Sam's story and by classic Hollywood romance, writer Annie Reed (Ryan) becomes convinced that it's her destiny to meet Sam. There are just two problems: Annie's engaged to someone else and Sam doesn't know yet that they're made for each other. Co-starring Rosie O'Donnell, Rita Wilson and Rob Riener.